This beacon has a built in GPS and transmits a distress signal to all AIS receivers. 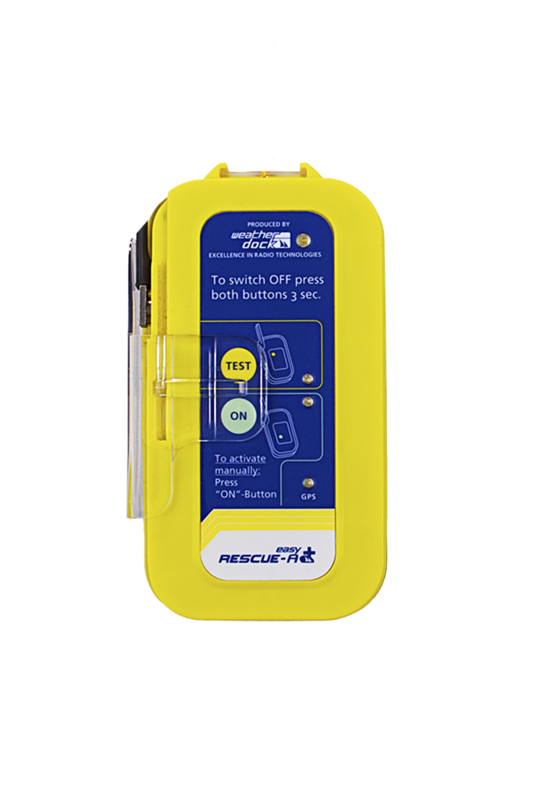 When the lifejacket inflates in an emergency, a ripcord tears off a magnetic switch from the transmitter. This leads to an automatic activation of the AIS emergency beacon.